What is Kaprun mainly known for? The Kitzsteinhorn, the TauernSPA or the Maiskogel Family Mountain? For many people, Kaprun means just one thing: the birthplace of a legend. High above the Kaprun Valley a marvel of technology arose in the post-war years. Being ahead of its time, it was created many decades ago and has maintained its mystical charisma to this day. The two high mountain reservoirs in Kaprun almost seem like fjjords. Especially when the snow starts to melt in spring. Then they are filled to the top and the turbines, hidden behind mighty dam walls, run at full speed. 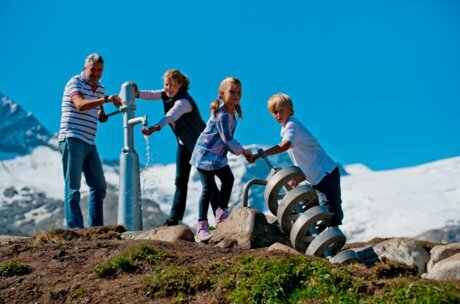 Electricity is generated in abundance in 2.040 metres of sea level in the mountains above Kaprun. Power has been generated here throughout the year for many decades. You can visit and admire this marvel of technology in the summer months. Link to the opening hours and detailed information. ... and once formed the gigantic reservoirs in the high mountains. The dam wall at the Moserboden is 107 m high and almost 500 m long. The wall stretches across the valley and can be seen from afar. Especially impressive is the view to this structure from one of the buses that take you to the visitor centre. You can take the buses or the inclined lift to get to this marvel of technology. You get off the bus in 2.000 metres above sea level and find yourself in the high mountains. Here, a wide range of possibilities is available to you. 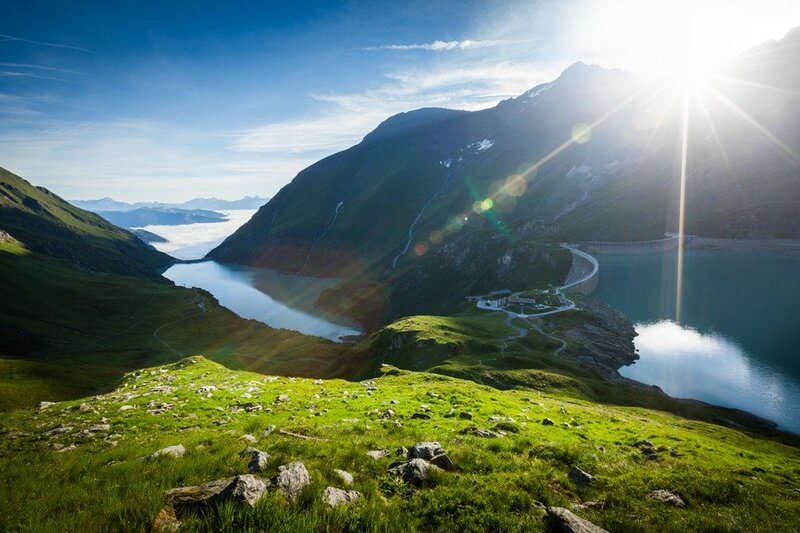 Start with a hiking tour around the reservoirs or climb a summit of the Hohe Tauern. But be back in time; you don't want to miss the last bus. Interested in a guided tour of the dam wall? Then advance into the inside of these mighty structures and learn interesting facts about the construction, operation and maintenance of these concrete giants, which keep the reservoirs' mass of water reliably under control. Adventure world of electricity is the name of the tours and exhibitions where you learn more about the interaction of glacier, power plant construction and power generation. 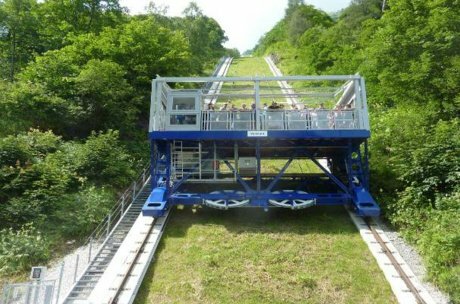 The famous inclined lift Lärchwand is one of the highlights on your tour to the high mountain reservoirs. 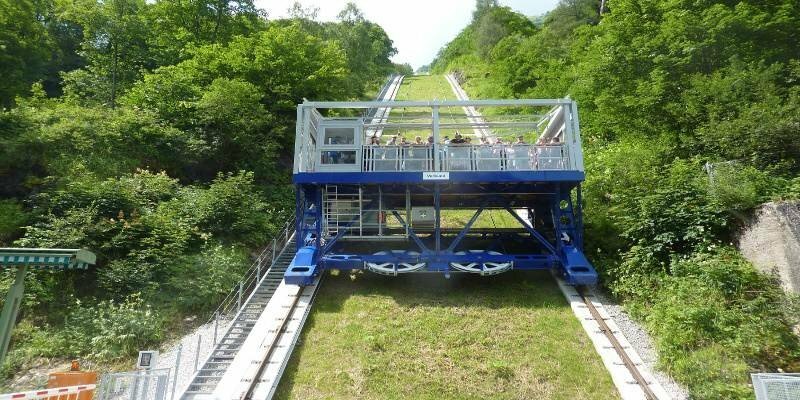 It is Europe's largest open lift and crosses an incline of 431 metres on the way to the top before the tour continues on the higher situated road to the reservoirs. Another attraction you will pass on your tour is the educational herb trail from the Bergrestaurant Mooserboden to the Fürthermoaralm. 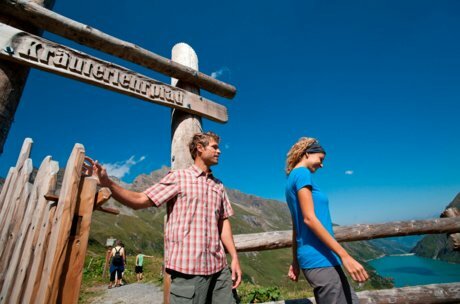 During a 45-minute walk across 237 altitude metres, you learn more about the region's herbs and enjoy a stunning view to the surrounding summits of the Hohe Tauern. 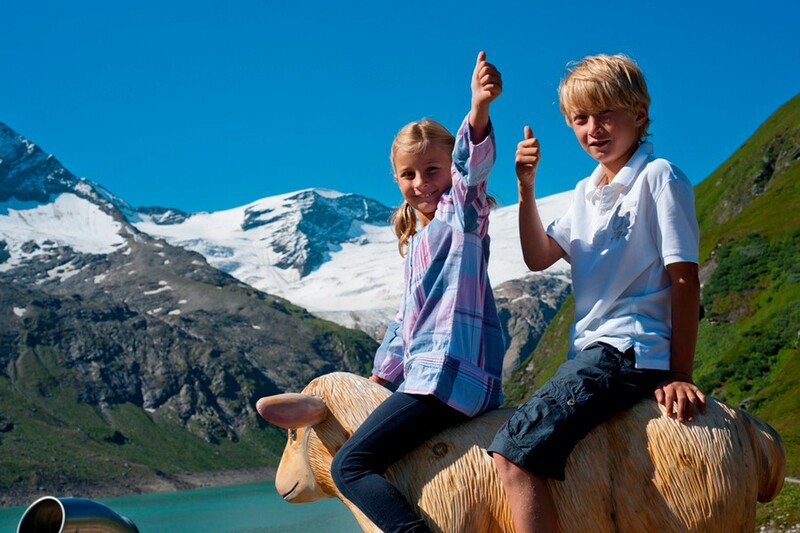 Take a break on the Fürthermoaralm alpine pasture before taking the bus back to the Mooserboden. This alpine pasture has an interesting past as it had to be relocated when the reservoir was built. The original alpine pasture is at the bottom of the reservoir. The new alpine pasture was used as catering point for the construction workers on the high-alpine construction sites and was the foundation of today's commercially serviced alpine pastures in the Pinzgau District. Hiking in the mountain range of the high mountain reservoirs. 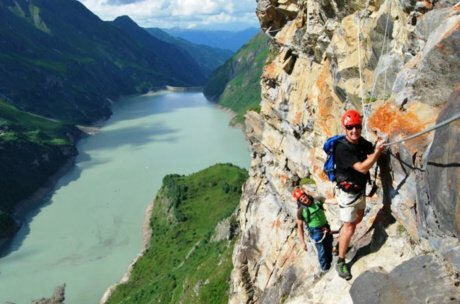 Apart from several easy hiking tours, there are high-alpine climbing adventures for mountaineers. The Electricity Trail offers unique insights in the world of electricity and water. Especially for kids there are adventure playstations, therefore, this hiking tour is suitable for families. The tour via the Kaprun Törl requires a bit more alpine experience. Plenty of mountain experience, energy and stamina requires the conquering of the summits at the Grießkogel, the Hocheiser or the Große Wiesbachhorn. For Alpinists there is offered a mountain refuge called the Heinrich Schwaiger Haus, which is located on the Salzburg side of the Hohe Tauern National Park at an altitude of 2,802 metres. The Höhenburg Mountaineering Arena is a special attraction for climbing fans in this magic mountain world. Mooser-Mandl, Drossen-Hex and Limberg-Zwerg are the names of the three via ferrate, which have been created in the solid rock of the Höhenburg. Various levels of difficulty guarantee climbing adventures for beginners and pros. Learn more about mountaineering and enjoy beautiful views across the reservoirs and the summits of the Hohe Tauern on guided tours with experienced mountaineers and mountain guides. 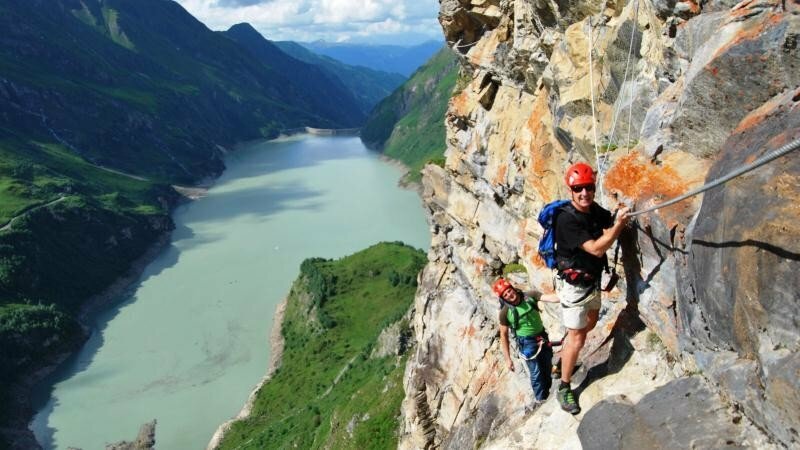 There is a new via ferrata DIRECTLY at the flank of the mighty dam wall of the Kaprun High Mountain Reservoirs . 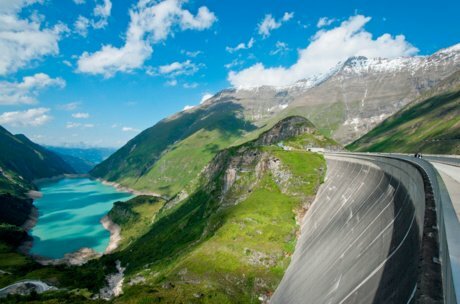 This will be the highest-situated via ferrata on a dam wall ever built in the world. This will give climbing dudes and adrenalin fans real waves of enthusiasm. 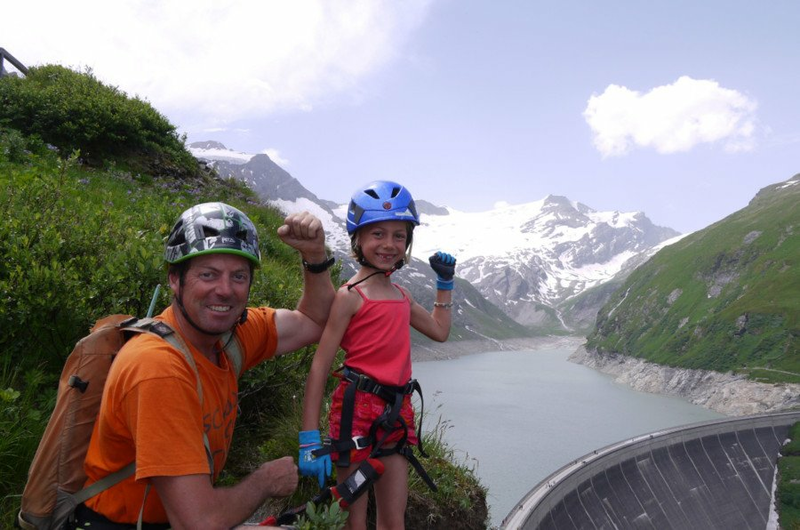 Guides will show you how it's done and beginners as well as the advanced can take on sporty challenges during guided climbing tours on the unique dam wall! Are you already looking forward to experience the marvel of technology high above the Kaprun Valley? Then you should spend your next holiday in the Zell am See-Kaprun region. Book comfortable accommodation in our region now. Contact us directly with your questions or suggestions. Enjoy your holiday in Zell am See-Kaprun!